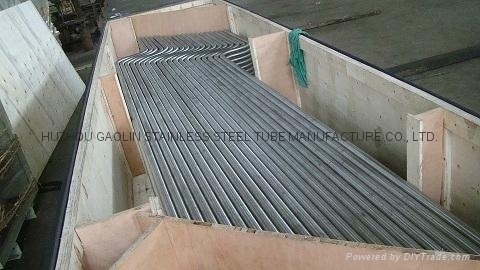 Bend Tubes, such as U shap, are widely used in Heat Exchanger Systems. 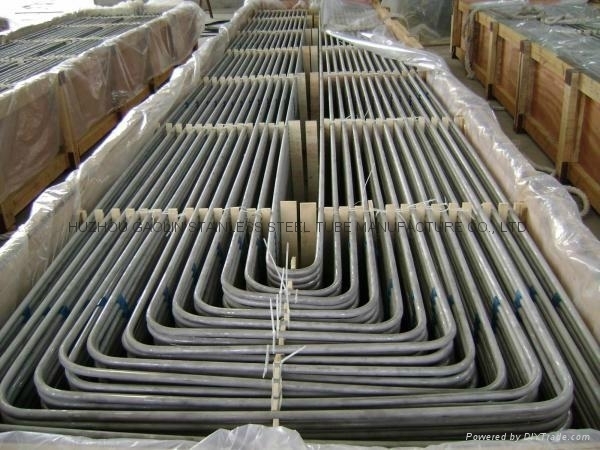 Heat-Exchanger Equipment, on the basis of Seamless Stainless U-Tubes and Welded Stainless U bend Tube, is essential in strategically important and critical fields---Nuclear And Petrochemical Machine Building. GAOLIN Start to Produce U Bending Tube Since 2007, Up to now already supply more than 3000 tons Stainless Steel U Bend Tube to 50 countries. 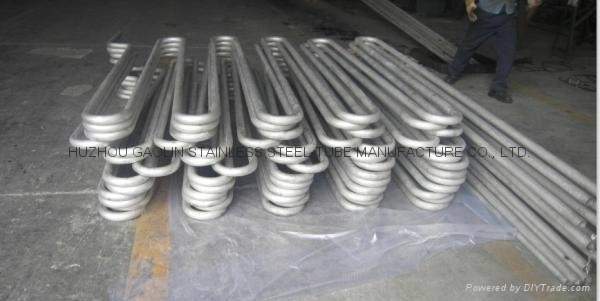 -ASTM A688/ASME SA688 Standard Specification For Welded Tubes Of Austenitic Corrosion Resistant Steel Grade Designed For Feed Water Boilers. 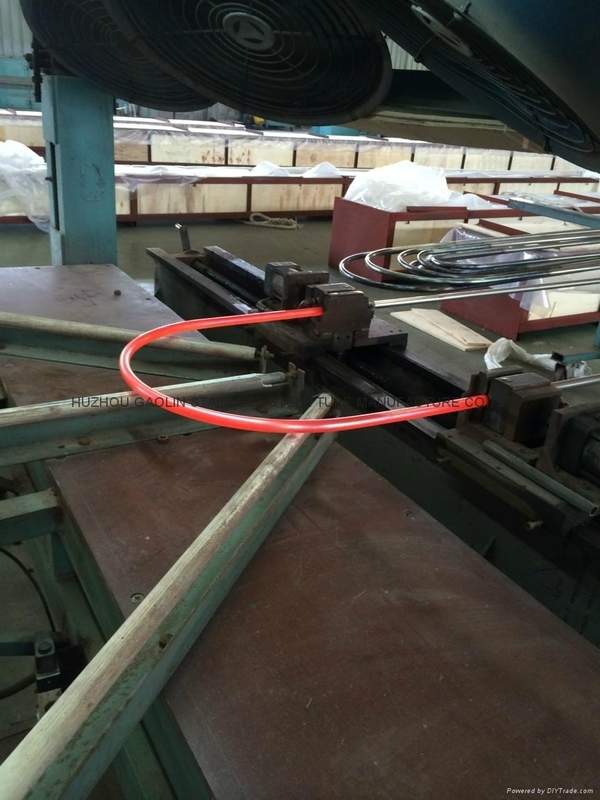 Straight Tubes Maximum Length (Before Bending): 35000 mm. Heat Treatment: Stress Relieved After U-Bending (Bending Area Plus 300MM Straight Section For Each Leg). Packaging: In Strong Transport-Worthy Pre-fumigated wooden boxes of corresponding dimensions for each tube Length, Radius, Diameter, According To PO requirements as well as wrapped In polyethylene films With soft plastic caps on both end of Tube. Visual inspection for waviness and cracks is done with Dye Penetration Test.